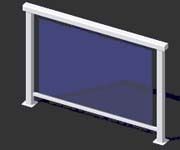 Traditional decorative style, double top rail design. Contemporary design with continuous top rail. Horizontal bar design for modern style decks. 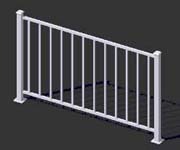 Easyrailings Products installed in residential settings are warranted to be free of defects in material and workmanship for fifteen (15) years from the date of purchase. 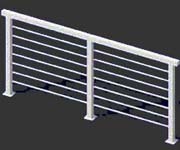 If a defect is found in normal residential usage, Easyrailings will, at its election, repair, replace, or make appropriate adjustment where Easyrailings inspection discloses any such defects. Damage caused by environmental hazards like saltwater within one mile of ocean, etc., accident, misuse or abuse is not covered by this warranty. 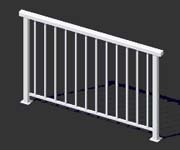 In no event shall the liability of Easyrailings exceed the purchase price of the product.